Cosmic Bowling!!! Friday & Saturday at 9:30 pm. 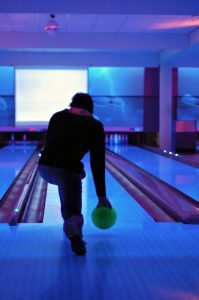 Cosmic Bowling is the complete sensory experience. Disco Lights, and Heart Pounding Music in a great bowling atmosphere. Best Value in Franklin, Greenwood –Johnson County–Metro Indianapolis!!! Saturday Afternoons from 1 to 5 pm….Cosmic Birthday Parties!! Have Savings Delivered To Your Inbox!